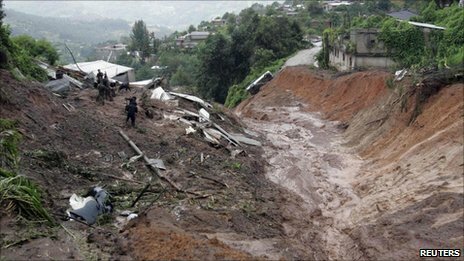 Mexican mudslide update: thousand dead becomes zero | Watts Up With That? Instead of thousands feared dead, reports are now saying that no one has been confirmed dead, and officials are hopeful that those few missing will be found alive. This is great news for some regions of Mexico, which have received plenty of rain during this summer season, especially in its tropical locales. It seems the remoteness of Santa Maria Tlahitoltepec in Oaxaca led worldwide news agencies to report/speculate about “feared dead” at the same time acknowledging that limited first hand accounts of the situation were available. In this case, everyone is happy that the worst case scenario suggested by local authorities translated into the best case scenario. After rescuers reached Santa Maria Tlahitoltepec in Oaxaca, officials said 11 people were missing. A lot of “fear” in almost all of the news articles on Tuesday, but no facts. And, the AP, so predictably, while acknowledging the great news that no one had died in Mexico, discusses a Colombian flood and 70 deaths at the end of the story. It is just too much for the AP to be grateful about averting a huge death toll in Mexico without moving on to the next disaster. No ‘thousands’ dead and the media quickly lose interest. Only hysteria inducing news is now news. I am confident that some “official” somewhere will attribute this to climate distruption. It’s not worse than we thought? I would be willing to bet that the first incorrect news report of a thousand dead will still be the number used when statistics show how many people have been killed globally by climate change though. We can all do something about this. Contact your local politician today and demand climate stability treaty now. A question for someone here? would a cooling world lead to more rainfall untill it has stabilised at the new temp? like cloud mechanics on a global scale? However, like Pakistan, Mexico is a relatively poor country. The buidling standards are dubious, probably no official effective regulatory system in place for building standards, poor ground conditions, poor foundations choice, limited or no planning consultation process leading to poor siting of buildings & homes, poor surface water run-off systems in place, poor catchment control generally. The list is not exhaustive! Curiously enough, the UK is a relatively wealthy country (if in hock to the eyeballs) but most flooding here is as a result of poor catchment control & inadequate maintenance of an aging drainage system, (not unlike the Hurricane Katrina aftermath), & the dumbest thing of all local authorities letting developers build on flood plains, with inadequate foundation systems, because they need the tax revenues! 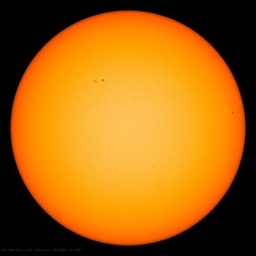 Of course AGW & CC are far more dramatic excuses! In any case, it really is due to climate change, that’s what the climate does, it changes on all continents on all timescales! People seem to forget the great floods that engulfed the River Thames in the late 1940s, 1947-8 I seem to recall but someone will correct me I am sure. Thames Water Authority spent £M upgrading river systems, tributary flood alleviation shemes, & the like over a 20 year period to prevent it happening again ( I worked on some of them). In the grander scheme of things this fear of flooding led to the building of the Thames Barrier (a marvelous feat of British engineering if I say so myself). But it could get worse. Especially if we don´t pay someone to save us from AGW. Wonder where all those people are? I’ll bet there’s a lot less people in Mexico than anyone knows. Where do you think they could be? I can’t believe that I’m going to have to be the first to assure you that when our projections are combined with the current data, it’s going to distort the plot and we’re going to have to take action to hide the decline. Perhaps we can factor in some of the drug murders from the border area and extrapolate. More illustration for why it is a good idea to kill your TV. I think it was the same with the russian heat wave, where the mass media said hundreds were dying every week ‘cos of the heat. But I didn’t see a single case evidenced. It was hard to believe when the russian heat was only a couple of degrees warmer than the british heat wave of 10 years ago, in which no one died. I can remember some years ago, when big storm hit a coastal area of Bangladesh and supposedly killed 150,000 people; who I guess forgot to follow the cattle up to the higher ground. It took about ten days before the UN relief agencies were able to get in gear and go into the areas to help out. The official population of Bangladesh never went down though; they didn’t find the bodies as fast as the reproduction rate replaced them with new people. They still don’t follow the cows up the hill when it rains; but who are we to criticize them; people are moving back into New Orleans; aren’t they ? You have it backwards. Colder = drier and hotter = wetter. It is hot as in jungle, not hot as in desert. The roman warm period was significantly hotter than it is today. The sahara was green in roman times. IanH, yes I know that, what I asked was, given that warm air holds more water than cool, when the global air cools does it cause extra precipitation untill it sheds the excess and stabilised!